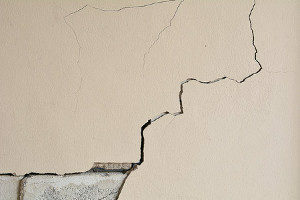 Repairs to your home’s foundation can be some of the most important and most costly you will ever face as a homeowner. Without a solid foundation, the entire structural integrity of your home is threatened. Diagnosing and addressing any potential foundation issues early on can help keep the damage and cost of repairs to a minimum. If visible cracks appear in your home’s walls, ceilings, or basement floors, it may be a warning sign that your foundation is settling and shifting. This may compromise your home’s safety and eventually could lead to a host of more serious problems. Cracks in walls, ceilings, and floors are the number one sign of foundation issues and can take on many different forms, all of which can point to a need for residential foundation repairs. Inconsistencies in the level of your flooring, such as sagging, bowing, or humps, may indicate that the structures that support your floors have shifted due to soil movement under your foundation. Uneven floors may also be caused by water-damage or failing supports, all of which are serious issues that would jeopardize your foundation’s integrity. 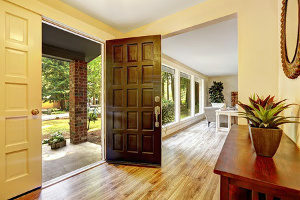 If your home has uneven, sagging, or bowing floors, contact Dirt Connections immediately. Basement walls that have shifted, or curved inward are often a clear sign that exterior water flows are negatively affecting your home’s foundation. When the soil around your foundation becomes saturated with water it may expand and push the walls of your basement inward. Once dry, the soil contracts, creating weak spots. A qualified foundation expert can help determine the best method for resolving this issue, and should be contacted immediately. If the ground immediately around the base of your home is sinking or easy to compress, it may indicate water is threatening your foundation, or that your foundation has already shifted away from its original position. Windows and doors that won’t stay closed, are difficult to open, or that have significant gaps are clear signs that your foundation has shifted and may be sinking. The soil beneath your foundation may not have been adequately prepared for the weight of your home during construction, or a significant amount of water has weakened the area. If your home has multiple doors or windows with these symptoms, it is best to contact a professional to determine whether or not your foundation is to blame. In most homes, the chimney is the single heaviest component. If your chimney appears off-center of leaning to one side, it may indicate that the foundation under it can no longer handle the structure’s weight. Additionally, cracks in your chimney’s bricks may be subtler signs your chimney has shifted due to a foundation issue. Allowing foundation issues to go unaddressed inevitably causes them to worsen, turning what could have been a $1,000, two day project into a $10,000, two week project down the road. By nipping potential foundation and water flow issues in the bud immediately, you can stop the damage to your home early on, drastically cutting down on the time and money necessary to make the repair. Foundation issues often arise from soil movement caused by issues with exterior water flows around your foundation. By diagnosing and addressing your property’s water flow issues, you can divert water away from your foundation, keep it from pooling around the base of your home, and redirect it to where it is more needed. 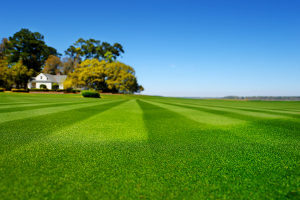 A foundation repair project could be seen as an opportunity to revitalize your home’s landscaping, turning a brown and lumpy front yard to a manicured green space with heaps of curb appeal. By making the necessary repairs to your home’s foundation, you will be immediately addressing a major concern of homebuyers when on the market for a new home. Issues with interior and exterior water flows, soil movement, and other foundation related problems can make even the most luxurious home unattractive to potential homebuyers. A sturdy foundation and a record of upkeep and maintenance will add value to your home when looking to sell. Dirt Connections’ team of experienced contractors are ready to assist you with diagnosis and resolving your home’s foundation issues. We offer a wide variety of foundation repair techniques and can adjust to the demands of any project. Contact us today to find out how we can help make your home sturdy and safe for years to come!